Implementation of a Magento website with embroidery options for Lancaster businessAs well as developing eCommerce Sites, we also offer enhancements, development and support for existing Magento installations. If you already have a Magento store, but would like additional functionality, assistance in implementing something or resolving difficult features of the product, we may be able to help. Implementation - Of themes, extensions, payment providers, etc..
Additional Category Fields - Add SEO H1 titles or extended descriptions. 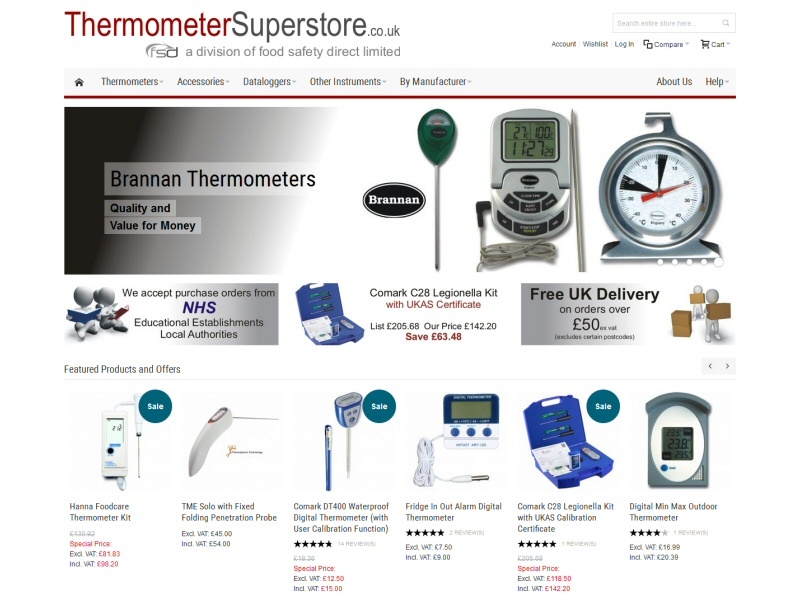 Validate UK Postcodes - Get the product to recognise the structure of UK postcodes for shipping purposes. Complex Shipping - Separate charges for Scottish highlands and islands, the Channel Islands and Europe. Category Thumbnails - Display of image thumbnails to show sub-categories of the current category. Importing - Help mass importing existing products, categories, attributes, upsells, tier prices, reviews, etc.. into Magento from another platform. 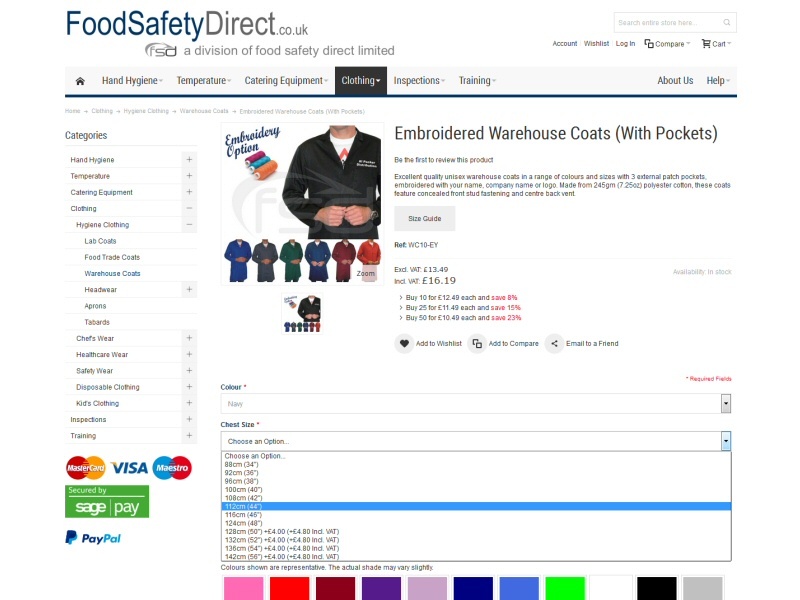 Advanced Product Options - Allow for collecting complicated option information about a product, such as embroidery details. 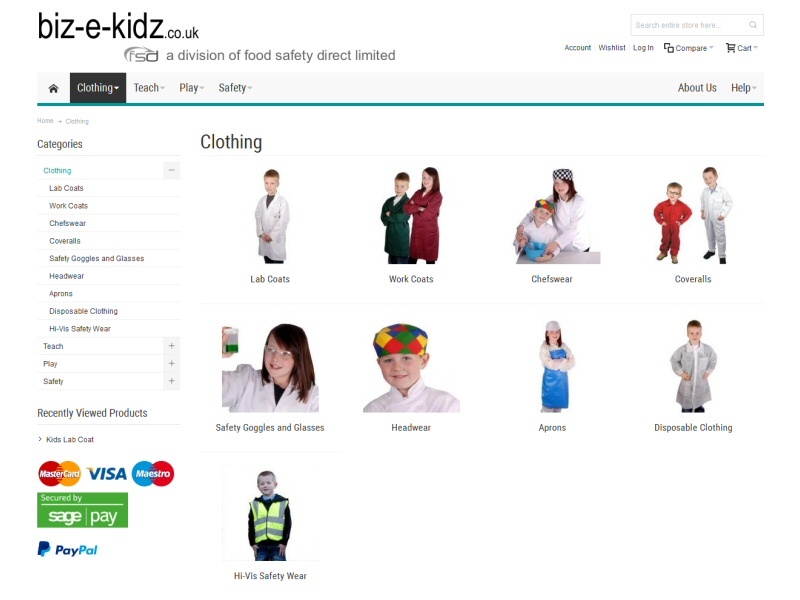 Customisation - Add product specific layouts or features. For example, a size guide for clothing. Blank Attributes - Remove the annoying dashes and "No"s from blank attributes. Tier Pricing Across Products - Allow tiered pricing to be applied across multiple products. Fixed Item Quantities - Handle fixed item quantities on a bundled product to allow for the supply of thing like kits which contain defined stock items. Remove Add to Cart Button - Remove or rename the "Add to Cart" button to cope with things like customised items, which require the customer to make an enquiry first. 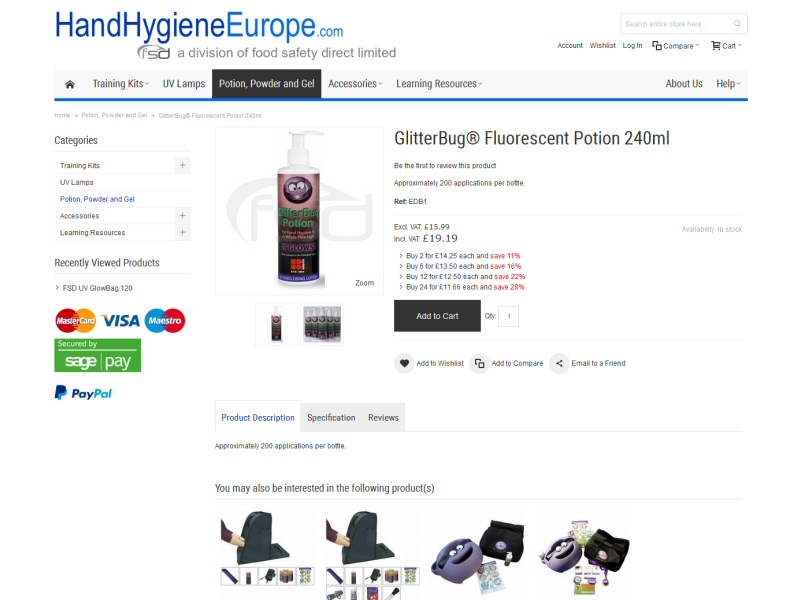 Remove Product Tags - And other unnecessary Magento features, such as user search terms. Make British - Change word Tax to VAT, cart to basket, etc.. Improve Search Results - Improve Magento's seemingly random results for searches. Custom Delivery Charges - Allow back-end staff to set a custom delivery charge per order. Send Emails by Default - Set order, invoice and shipment emails to send by default in the back-end. Custom Customer / Order Attributes - Implement extension for addition of custom attributes for orders and customers. Account Customers - Enable the system to handle account customers using purchase orders on both the front and back-end. Intra-EU / Non-EU VAT - Set up Magento to handle European VAT for registered companies. SEO - Assist with ensuring your store is Google friendly, including Search Engine Optimisation services if required. Change Admin URL Path - Change your admin URL path to reduce the risk of the site being hacked. Email / PDF Templates - Alteration of the templates for emails and PDFs created for orders, invoices, packing lists, etc..
Training - General training and advice on using the product on a day to day basis. Please note, we offer a reasonable price for our services, but Magento is a complex beast and quoted prices will reflect such. Magento is a complicated, high-end, resource hungry solution, for which even minor enhancements sometimes require significant investigation and development time. If your on-line presence is not yet established and you're attempting to implement Magento on a shoestring budget, we would advise you look for an alternative ecommerce package. If you would like to discuss Magento development, enhancements or support, please Contact Us with your requirements. Replacement of existing SellerDeck website with a Magento solution aimed at European customers. Magento ecommerce solution handling complex embroidered products with partial VAT.